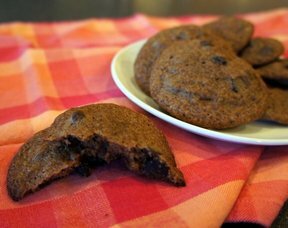 A very moist cookie that holds up nicely when baked. In a large mixing bowl, combine the sugars, yogurt, butter, oil, and vanilla until well blended. Add flour, baking soda, salt, and oats. Blend until smooth. Stir in chips. Drop dough onto an ungreased cookie sheet 2 inches apart. 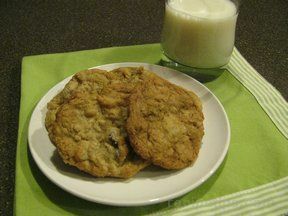 Use a little over 1 teaspoon of dough per cookie. 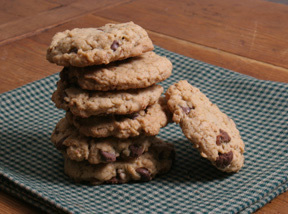 Bake for approximately 9 minutes or until cookies are just turning golden brown. Let cool for one minute before removing them from the cookie sheet and onto a cooling rack. 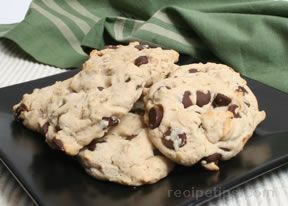 "Good chocolate chip cookie recipe if you are looking for something new."